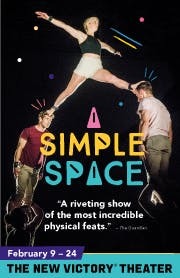 ★★★★ Gravity-defying... truly breathtaking and a joy to watch. Sit inches away from the action! Be right next to the action with onstage seats—including opportunities for audience participation!